I hope everyone has a great holiday season this year. If you are like me you probably already have a few open water related gifts on your Christmas wish list. Here are some of the things that I am hoping find their way into my stocking this year. This is basically a metronome for swimming. 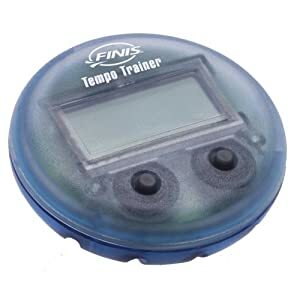 You attach the tempo trainer to you goggles or put it in your cap and it beeps at the stroke rate you set it to. This is a good tool for working on your pace and keeping it consistent. This DVD by The Athlete Village is an up close analysis of world class open water swimmers. My opinion on goggles is that you can never have too many. I love my Blueseventy Vision goggles for open water but love my Speedo Aqua Socket's for the pool. The Blueseventy Element's combine what I like about both sets of goggles into one. Since most of my goggles are tinted or mirrored, I need a pair that are not as dark so that I can use them for early morning and evening swimming. In this DVD, world class swimmer and all around good guy, Fran Crippen shares his techniques for faster freestyle and explains how to master the skills you need for open water. This is an easy way to have your stroke analyzed. Simply have a friend film you swimming and upload the video the the website. A professional will analyze your stroke. 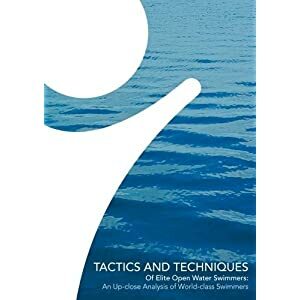 For the serious open water swimmer, there is a comprehensive open water package that is analyzed by Steve Munatones himself. These gloves just look cool. I have never worn a pair, but am sure that they are more comfortable and natural feeling than hand paddles. I also like the idea of being able to vary the resistance by simply spreading your fingers. What swimming related gifts are you hoping to get this year?